The first step you should take is to identify the type of tree that’s shedding. Birch, silver maple, and sycamore trees shed bark as a kind of charming eccentricity. No worries there! If it’s an ash, maple (other than silver, of course! ), oak, or pine tree, it’s probably just growing. Like a crab shedding its too-tight shell, a tree must shed its old bark ‘shell’ to make room for the new, larger tree within. Trees grow, and when they do, the outside must expand. 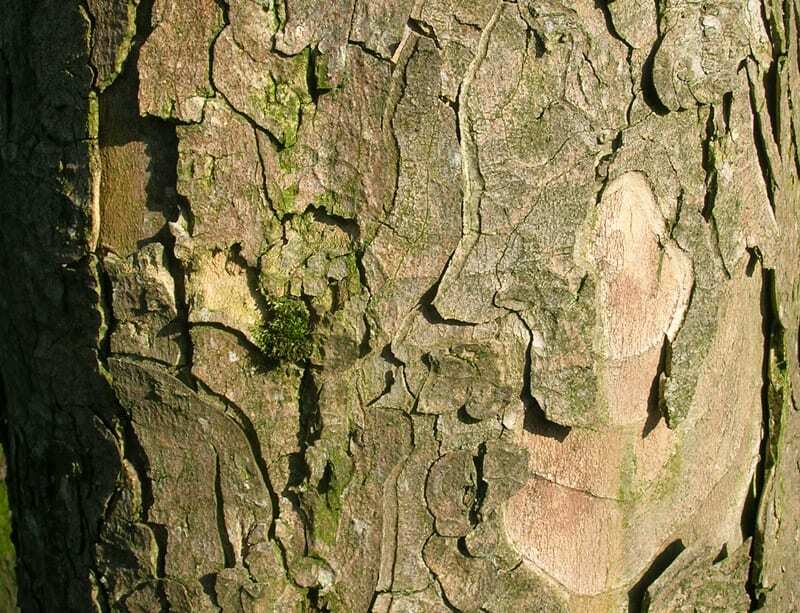 In younger trees, the outside bark is generally softer and more flexible and can accommodate the growth. 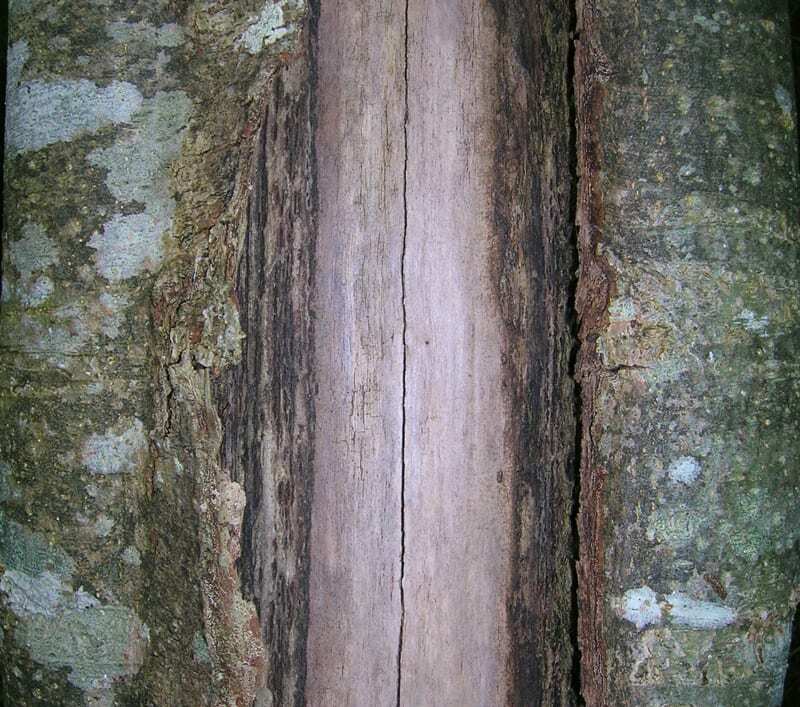 But older trees with harder bark will crack and split, and sometimes, the bark delaminates from the tree trunk, revealing the inner layer below. This process is known as exfoliation. It tends to occur at the same time every year. If the tree looks healthy otherwise, then it is probably nothing to worry about. The process of exfoliation can be exacerbated by extreme temperatures, like extreme cold or extreme heat, causing cracks in the bark. However, a healthy tree can heal the damage, in which case there is no cause for alarm. It is when the tree otherwise looks unhealthy that you need to worry. 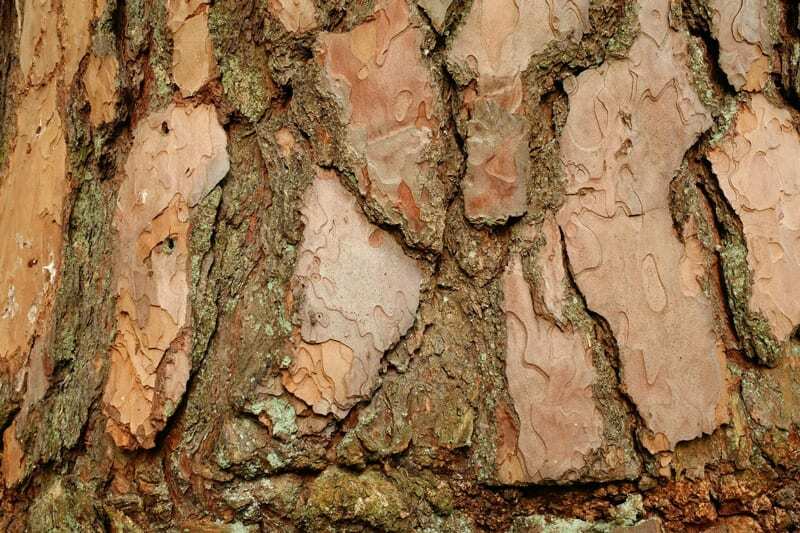 If you notice bark shedding under any of the circumstances below, you may need to take steps to protect your valuable tree. If there have been abrupt temperature changes recently, they may have triggered the loss of bark. Fruit trees and some nut trees are particularly susceptible to ‘frost crack‘ because of their thin bark. It’s very common in sycamores and can also happen to horse chestnuts, lindens, maples, and willows. Despite the name, it doesn’t just happen in winter. Excessive heat can cause it, too! Basically, it’s caused by any temperature-related stress and usually occurs on the south or southwest side of the tree. Frost crack can progress from falling bits of bark to deep vertical cracks, so you’ll need to act promptly to preserve the beauty of your tree. If warm days are followed by cold nights, tuck a light-colored tree blanket around your tree. The blanket will reflect sunlight away from the tree, keeping the bark temperature uniformly cold. Keep your tree well-watered except when the ground is frozen. Using mulch helps keep the soil moist. When pruning, leave enough canopy so the tree can shade its bark from intense sunlight. These conditions are perfect for producing sunscald. That warm afternoon sun can trick the tree into breaking dormancy. The freezing night that follows then kills that newly awakened tissue and causes unsightly blemishes on the trunk. Like a human sunburn, the damaged tissue may start peeling. Sunscald is most likely to occur on trees with smooth and/or dark-colored bark. 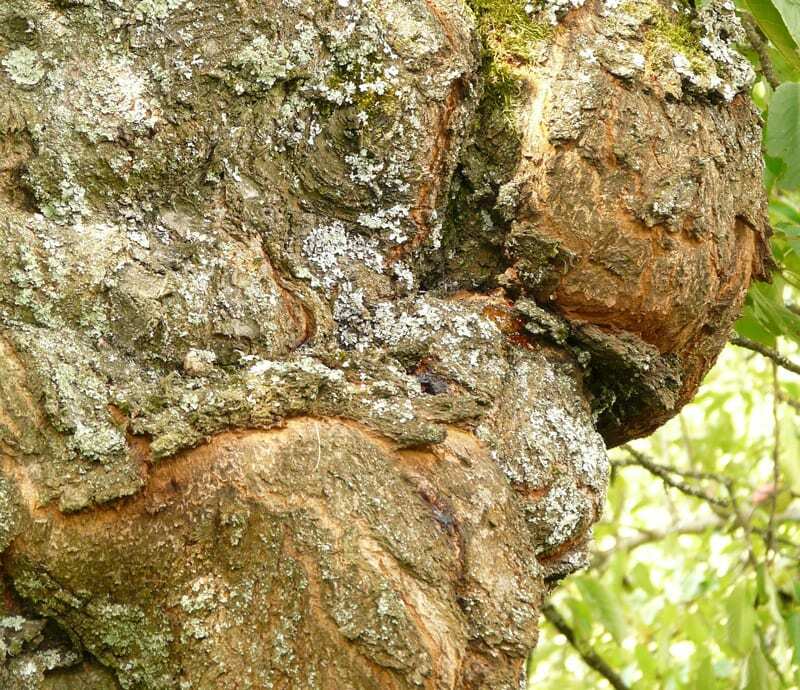 Cankers and other fungal infections attack trees through the bark and infect the inner layer. This often causes the bark to shrivel, die, and fall off the trunk. 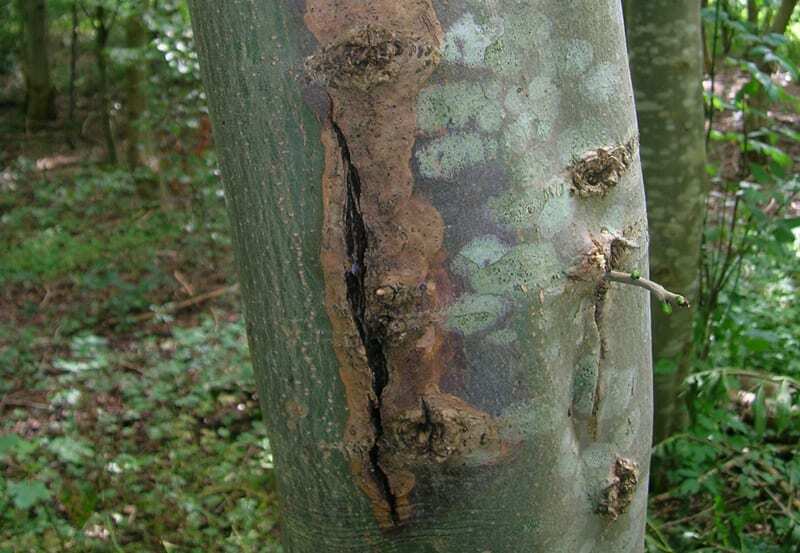 Cankers appear as lesions on bark in black, brown, or red. Dying leaves and branches will follow soon after bark issues begin. Urgent treatment is needed to save a tree with these issues. Some beetles are known to use diseased or weakened trees to plant their egg colonies, by looking for cracks in the bark. The damage created by these pests causes bark to break and slide off. This also attracts woodpeckers who are after the beetle larvae. Woodpecker activity will often leave bark debris behind, indicating possible infestation. 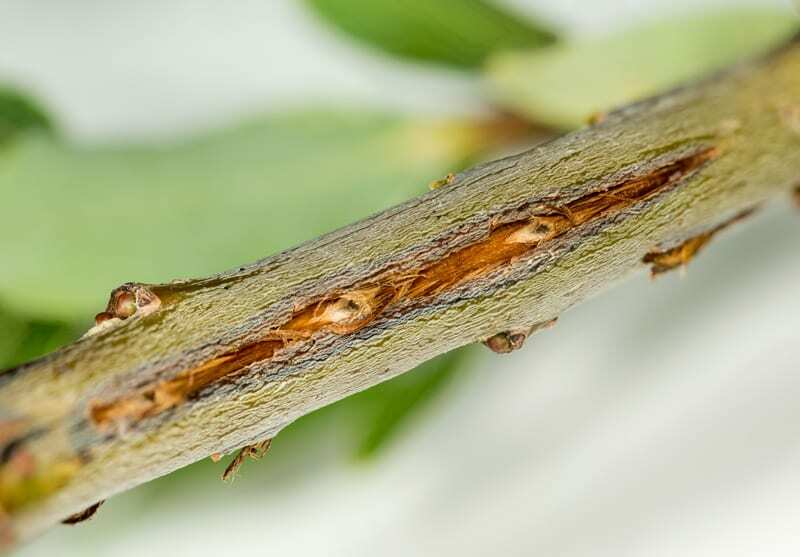 Pest damage to bark tends to appear lower on trees. If you see any symptoms of a sick tree on your property, consult with a professional arborist who can diagnose and treat the underlying problem. Consulting with a tree expert can be the difference between saving a beautiful asset in your landscape and the danger of property damage.